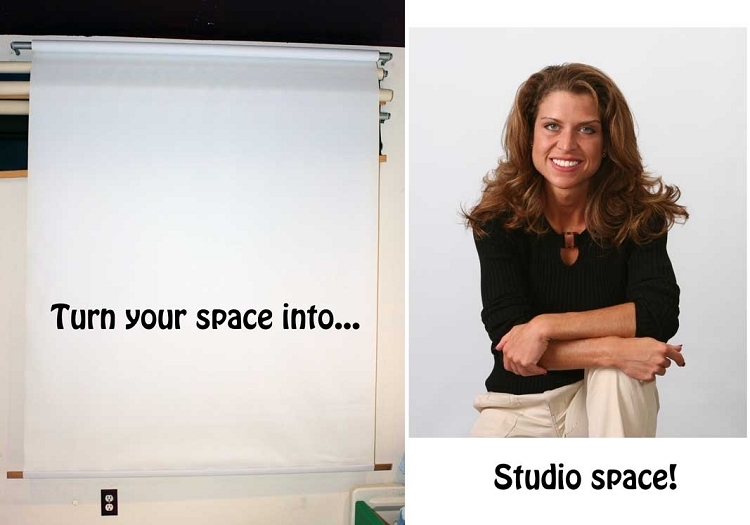 Turn any office, bedroom, exam room or garage into a studio with our exclusive, made in America, bead-and-reel clutch manually rolling pulley background system. The fabric is thick enough to mount in front of a window with no visible shoot-through light. 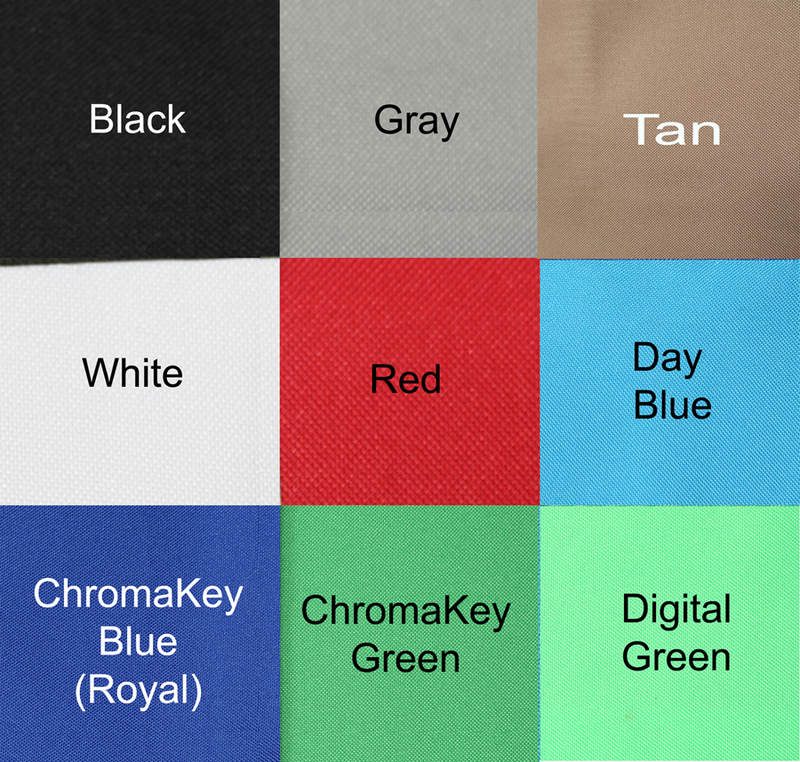 Available in chromakey green, digital key green, royal blue (chromakey), day blue, black, red, grey tan/brown, or white and with brackets for mounting either to the ceiling or wall. Fabric size 59” wide by 8' long (allow 3" additional width for the mounting space). Specially designed for teleconferencing, exam rooms and photographers, this mid-size roll-up system is the perfect size for 3/4 shots. Simply pull down bead chain on side to roll up and down. Metal bead chain pulley can be mounted on either side by reversing plug installation. 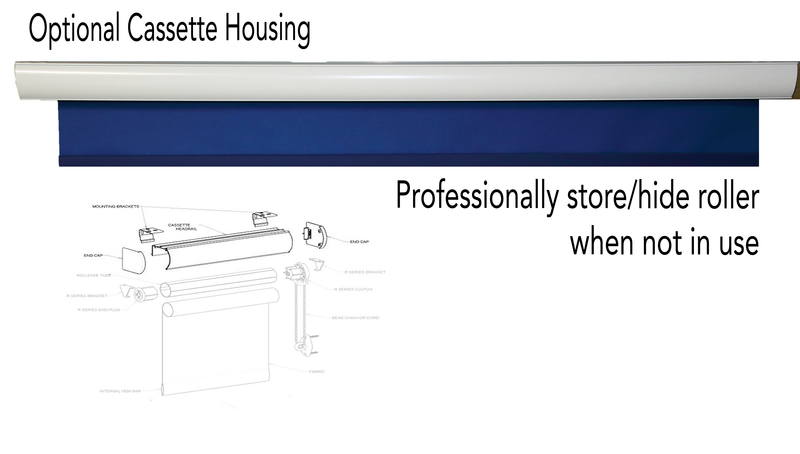 Our exclusive rollup system consists of a wrinkle-proof professional-grade photographic fabric mounted on an industrial-duty metal bar and comes complete with mounting brackets and instructions. 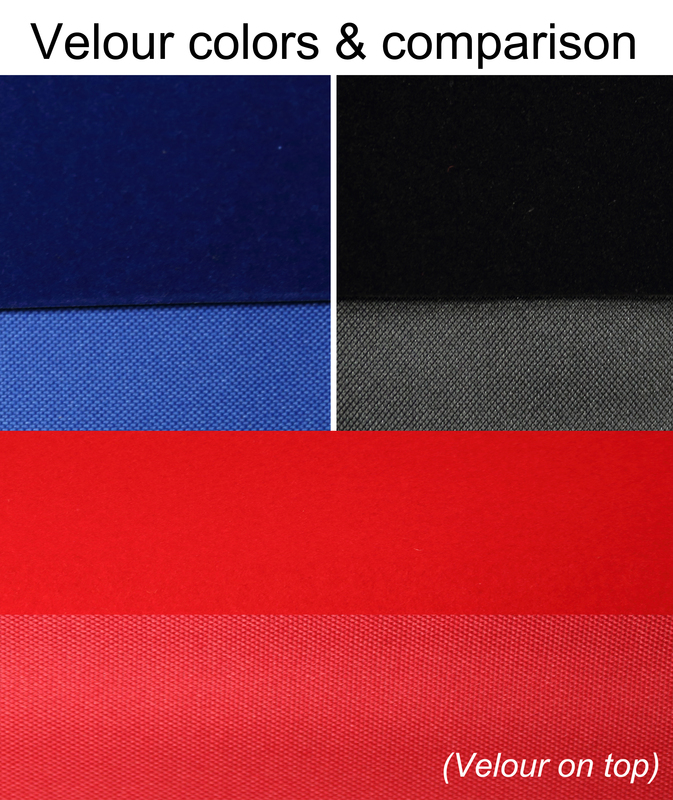 Special-order vinyl-backed velour in red, black and royal blue also available, which gives the rich look of velvet without the cost. Oversize shipping rates apply. Custom cassette housing available (shown for display purposes, but is sold separately). ONE color per system is included with purchase. No other items shown in images are included with purchase and are shown for display purposes only.